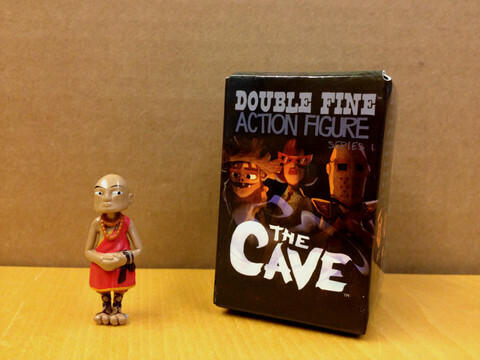 If you've played Double Fine Productions' adventure game The Cave, you may have a favorite character or two. Double Fine is now giving you a chance to show your affection for these characters. The company is selling vinyl figurines of the cast at their website. The Cave, an unusual set of characters must explore an underground labyrinth. The player picks three characters at the outset of the game out of seven choices. Each character has a unique storyline as well as a distinct ability. These characters' abilities must be used in tandem to traverse the cave's obstacles. 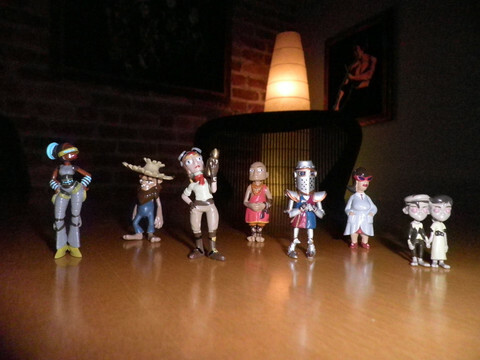 Double Fine's online shop lets you buy all seven figurines for $35. You could also buy a $5 "blind box" and get one random character. The Cave is available for download on PS3, Wii U, Xbox 360, PC and Mac. To find out what we thought about it, check out our review.